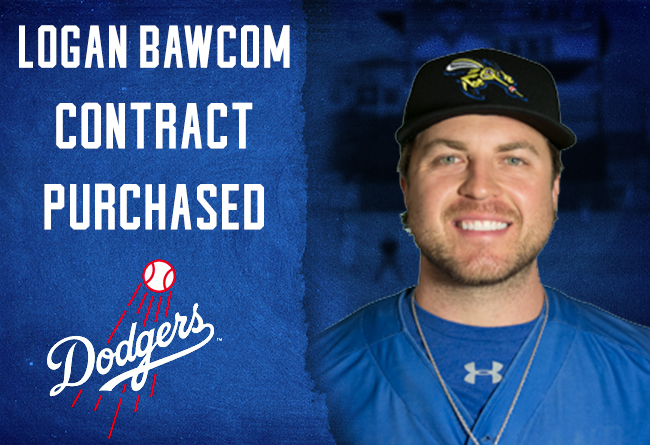 (Sugar Land, Texas, May 16, 2018) - The Sugar Land Skeeters announced today that the contract of right-hander Logan Bawcom has been purchased by the Los Angeles Dodgers. Bawcom is expected to report to Double-A Tulsa. Bawcom, 29, made three starts for the Skeeters this season, which is his ninth in professional baseball, and went 1-1 with a 6.75 ERA in 13 1/3 innings pitched. He becomes the third member of this year’s Skeeters team to have his contract purchased by a Major League organization. Left-hander Paco Rodriguez had his contract purchased by the Minnesota Twins on May 2nd and infielder Rey Navarro had his contract purchased by the New York Yankees on May 12th. Bawcom was selected by the Dodgers in the 17th round of the 2010 MLB Draft out of the University of Texas at Arlington. He last appeared at the affiliated level in 2017 with Triple-A Nashville (Oakland A’s) and also spent time with Triple-A El Paso (San Diego Padres) in 2017. The Texas native has appeared at the Minor League level with the Dodgers and Seattle Mariners organizations as well. In 340 career Minor League appearances (13 starts), Bawcom has gone 30-30 with a 3.18 ERA in 514 1/3 innings, striking out 492 batters to 218 walks. Before attending UT-Arlington, Bawcom played two seasons at Midland Junior College and was named a National Junior College Athletic Association Distinguished All-American in 2009. He led Dodgers Minor Leaguers with 27 saves in 2011 and led the Mariners farm system with 21 saves in 2013, being named the Pitcher of the Year for Triple-A Tacoma. Individual tickets are available now at SugarLandSkeeters.com, our mobile app, and at the TDECU Ticket Office at Constellation Field. For more information, call 281-240-4487. Visit Constellation Field this Friday for Friday Fireworks, be one of the first 2,000 fans to enter Saturday’s game to receive the Skeeters Puzzle giveaway courtesy of Texas Direct Auto and join us Sunday as we close out our homestand with Bark in the Park courtesy of Natural Pawz and Merrick Pet Foods. Also enjoy all of our weekly promotions, including Margarita Monday/Dollar Dog Monday, Kids in Free Wednesday and Thirsty Thursday.